You want to keep your home and family as safe as possible, and one of the best ways to accomplish this is to add security lighting to your home. However, your decision-making process doesn’t end with merely choosing to add security lighting; there are a wide range of security lighting options available that may your specific needs. 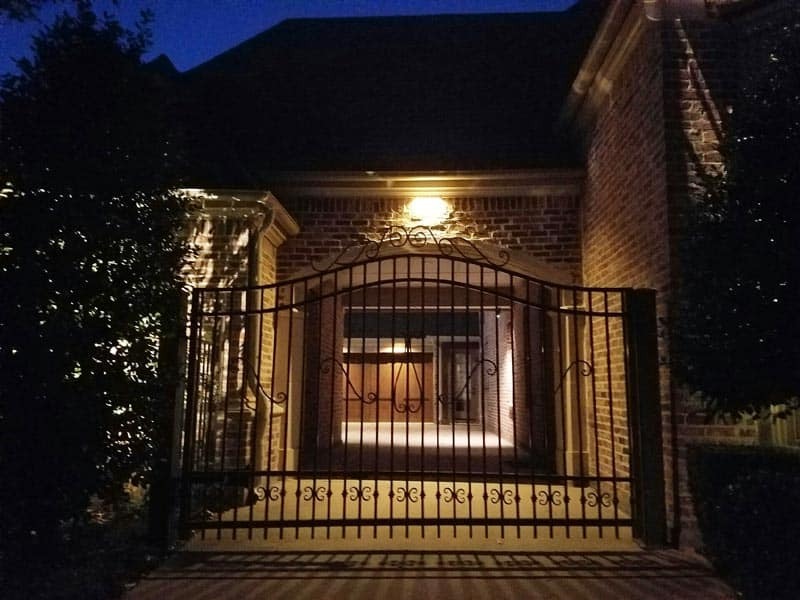 Below are some features and benefits of each kind of security lighting so that you can make an informed decision once it’s time to get security lighting added to your home. You can always opt for security lights that you turn on manually. However, this kind of security lighting will require you or someone else in your family to remember to turn them on each night. For the greatest benefits, it’s a good idea to choose either timed or motion-activated exterior lighting. If you want to keep your home’s exterior lit up at all hours of the night, you can get timed security lighting. This kind of lighting is great for not only deterring intruders, but also for helping you see your way around your property at night. Since the length of night varies greatly by season, you can adjust what hours your lights operate at. Motion-activated security lights have their own list of benefits. First of all, since they only turn on whenever they sense movement at night, they’re more energy-efficient than timed lights. Secondly, if a light suddenly shines on a person who is lurking around your property, they may get the impression that they’ve been caught and run away. Another benefit is that lights suddenly kicking on when you aren’t expecting anyone can alert you to potential intruders or trouble-makers. You may be concerned that these lights will waste energy by kicking on whenever they sense movement at any time of the day, but this isn’t going to happen; motion-activated security lights have light sensors so that they only go off between dusk and dawn. If you have small critters that tend to move about your property at night, you can adjust certain motion-activated security lights to only go off when they sense the movement of larger beings. Floodlights are what most people think of when they hear the term “security lighting.” These lights are very strong and are usually bright enough to light up your entire yard. You can get the most benefit from these lights by getting floodlights that use LED bulbs. LEDs shine a lot brighter than other types of bulbs and also use a fraction of the energy. Exterior floodlights can be pointed towards your house or in any other direction that would most benefit you. It’s usually a good idea to opt for motion-activated lights when you get floodlights installed so that you won’t bother your family or neighbors with bright lights that are shining through the windows all night. If you have a much larger area that you need to cover, you might benefit from getting HID lights instead of floodlights. HID security lights are usually used for commercial purposes, but they can also be used if you have an incredibly large amount of land. Soffit lights are found on the overhang that sits in front of your home’s entrance – which is known as a soffit. These lights add some extra lighting to your porch or the area right in front of your porch when the porch light isn’t sufficient for lighting the way or deterring intruders. Do you think that security lights are unsightly? Then coach lights may be the right choice for you. These lights add safety to your home, driveway, and walkways without uglying your landscape with unattractive security lighting. They can add charm and beauty to your home while also improving your home’s safety and security. Still unsure about what kind of security lighting is best for you? Enhanced Outdoor Lighting and Design can help. They’ll go over all your lighting options with you and help you determine which will best suit your property. Their team of lighting experts can then design a lighting system for you and install whatever lights that you want at your home or business. 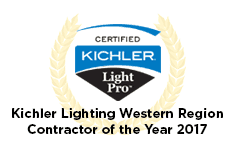 Contact Enhanced Outdoor Lighting today to learn how they can add safety and beauty to your home in the San Antonio or Austin area.